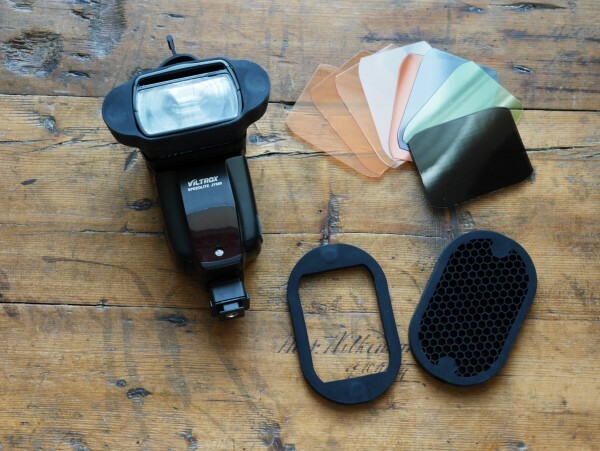 The MagMod system lets you stack all kinds of light modifiers to your shoe-mount flash using strong magnets. Pretty cool, but is it any good? There are lots of different ways to attach accessories to the front of a flash, from DIY kludges to umpteen proprietary mounts. Arguably of the coolest sounding is the MagMod system, which uses strong magnets and a series of interchangeable, stackable light modifiers. UK distributor Essential Photo sent me some to try out. What’s in the box? 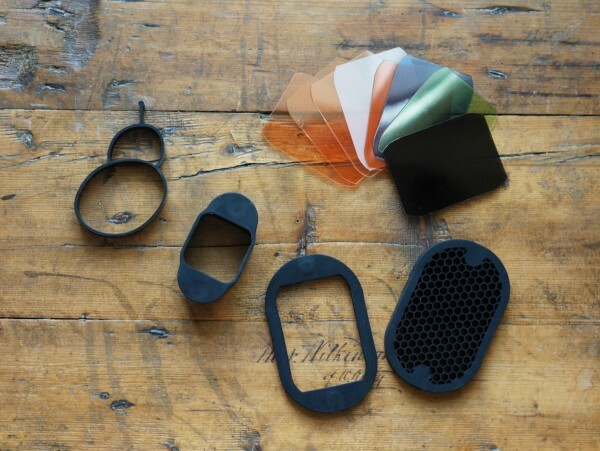 A MagMod 2 Basic Speedlite Modifier Kit contains a MagGrip (a rubber band mount with two magnets in it) plus a MagGel filter holder and a MagGrid honeycomb grid. An assortment of plastic gels are also included. They seem to include a couple of different strength colour-temperature orange (CTO) correction filters, a blue one, a 3-stop neutral density filter and a translucent white “Opal frost” filter that I can’t think of a use for. Mine also came with a Transmitter Band, a caddy for large old-fashioned radio receivers if you don’t use shoe-mount ones. Everything can be stuffed into a drawstring bag. The rubber MagGrip mount takes some stretching to fit over a standard flash head. Do it a few times and you can probably skip the chest expander session at the gym. Get an adult to help you if you’re struggling. Once slid onto the flash head, it grips it so firmly that I had half a thought that my cheap Chinese flash would buckle under the pressure. No risk of it falling off, that’s for certain. And it’s one-size-fits-all, so no need to waste money buying mount adapters for every single flash you have. The MagGel can hold two filters, or even three at a stretch. The filters aren’t labelled so I wasn’t sure what colour temperature correction they all apply, but with some custom white balances you can figure it out. Each gel is actually made of cheap Perspex, which is a bit rough around the edges and seem to pick up dust and dirt straight out of the box. But they seem durable enough to last a while. And you can always slip in some of your own. You don’t have to worry about mounting the MagMod modules the wrong way round, or misaligning them: the strong neodymium magnets will pull it into exactly the right position. The different attachments seem to have just as much strength mounting directly to the MagGrip as they do stacking on top of each other. The filters and grids have a large enough area to cover the front of the largest shoe-mount flash lens. With several MagMod accessories mounted at once, the setup does get fairly top-heavy. Not that there’s any risk of it falling off the front, but if your flash head’s tilt/swivel doesn’t have a locking mechanism then expect it to flop around under the weight, and maybe even tip over if it’s free-standing on a tabletop stand. 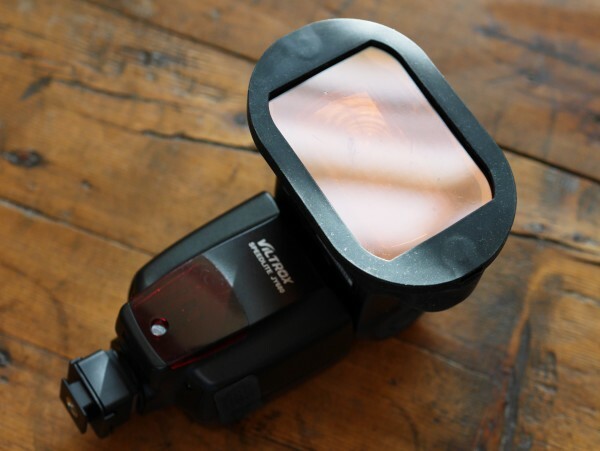 The MagGrid does a good job of controlling spill and helping avoid lens flare, making it handy when using the flash as an accent light, or simply to avoid contaminating certain areas of your scene with unwanted light. With a grid + gel stacked combo, nothing rattles and everything stays perfectly in place, almost like it is an integrated part of the flashgun. To get the most out of a single flash, I decided to try my hand at a bit of light painting. 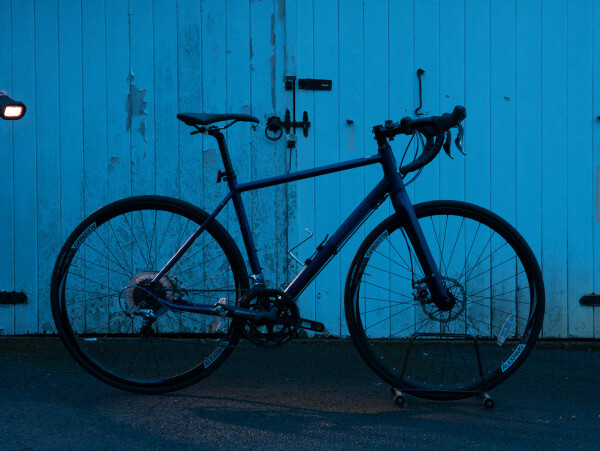 I equipped my speedlight with the MagGrid and an orange gel and shot numerous exposures with the flash at a variety of positions and angles pointing at the subject — in this case my new bicycle. Several combined exposures later (pro tip: use the “Lighten” layer mode), it’s like I have 7 or 8 MagMod-tipped speedlights all firing at once. I don’t have several MagGrips so can’t exactly convert to an “all-MagMod” workflow, but for some accent lights, coloured backgrounds or even hard main lights, I can see it being very useful. 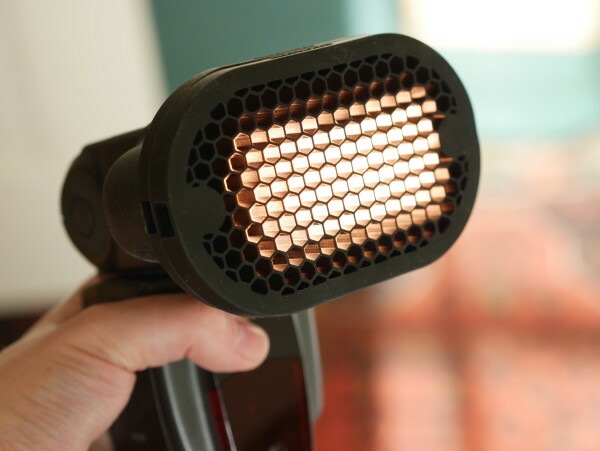 The cost to equip several of your lights with MagMod mounts does seem relatively accessible; though the starter kit is over £70, extra MagGrips are only about £20 each, which is of course more than a DIY solution would cost, but not extortionate in photography gear terms. By comparison, the Lastolite Strobo system would set you back £90. 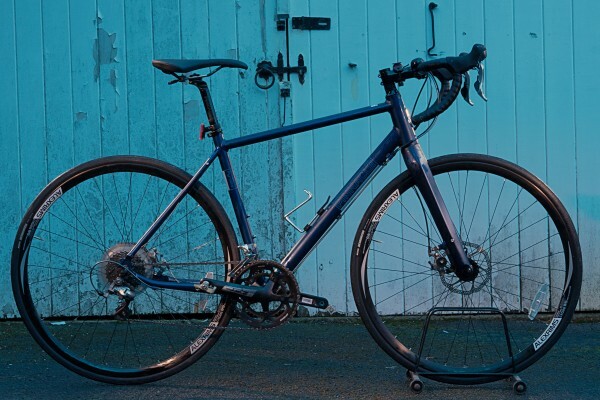 The Rogue 3-in-1 Grid system is £35 plus about £25 for a set of gels. The DIY alternative? Here is something I have previously been using, made from a cheap stubby holder and a Saxon PC grid. As a grid it works pretty well, but the fitting is by no means universal, sometimes it is hard to keep the grid aligned with the light, and it is not stackable with other modifiers or as easy to use with gels. The MagGrid also seems much more durable. So then, the MagMod system is very elegant, expandable and easy to use, provided you are OK with the weight and price. Need a grid and gel holder? Nothing works better for shoe-mount flashes. 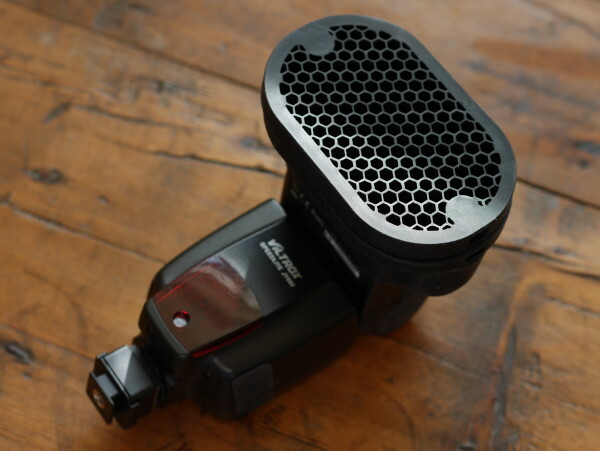 The samples in this review were provided by Essential Photo, the UK distributors of MagMod. 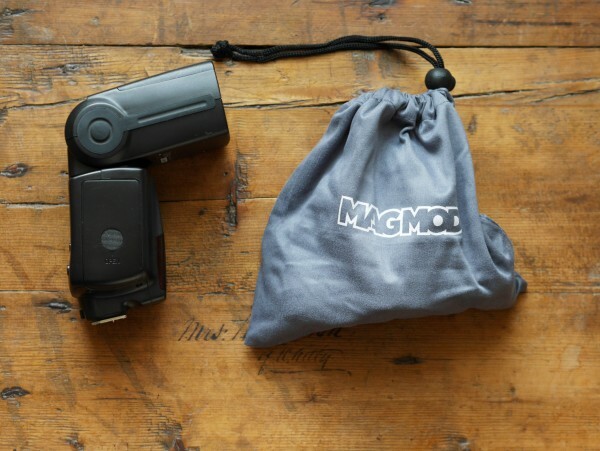 The MagMod 2 Basic kit, including the MagGrip mount, MagGel filter holder and MagGrid, starts at £72. 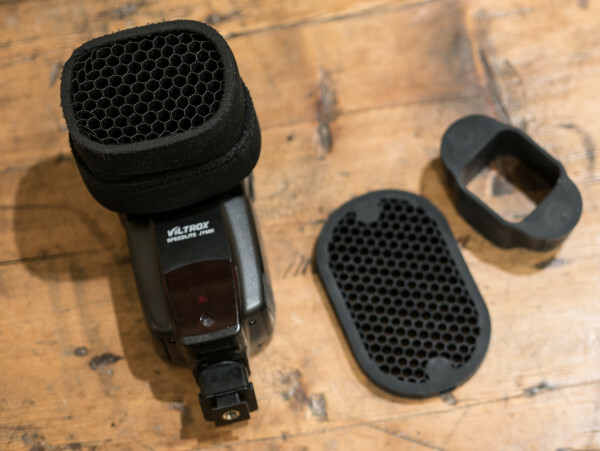 Other accessories include the MagSnoot and the MagBounce, which I will hopefully find time to cover in future posts. Click here for more information.